Alright, you chose Facebook as authentication method! 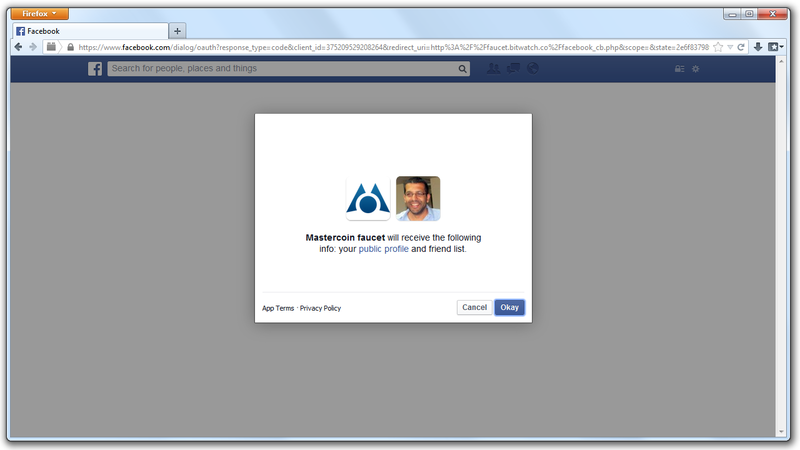 To redeem this reward, make sure you check out the Mastercoin group and all you need is an active Facebook account. You will be forwarded to Facebook. 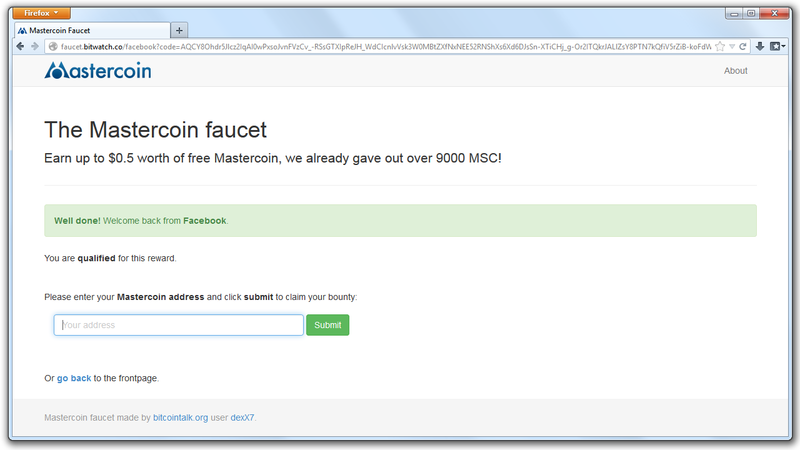 There you need to grant access to an application called Mastercoin faucet. You will be redirected to this page again, after you finished the process. You can revoke the access later here. We will never post anything with your account and no additional permissions are required.